As a follow-up to my Burning Questions post, here’s a first step at public awareness for environmental issues that I care about: a Letter to the Editor of On Pointe magazine (also publishers of Grosse Pointe Magazine. Both periodicals are delivered to all Grosse Pointe residents free of charge). I would use the word “passionate” in place of “care about,” but then I would be holding myself accountable to bigger things, which I’m not really prepared to do at the moment. Baby steps. 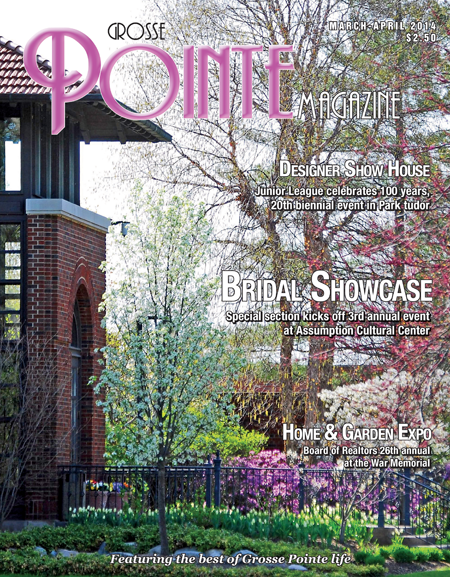 I was so pleased to see that the Spring issue of On Pointe was focused on going green. As a new resident, it was great to read about the many steps the Pointes have taken to make our cities more energy efficient and environmentally friendly, and I’m proud to be part of such a community. But I think we can do more. I was shocked to find out that restaurants and cafes in the area mainly use Styrofoam (or part-Styrofoam) for carry-out and take-home orders. Styrofoam is one of the worst products in our environment. One of the reasons being that its chemical byproducts leak into food, which can then harm our reproductive systems. And there is strong thought that food and drink consumed out of Styrofoam containers causes cancer (it’s classified as a possible carcinogen by the EPA). I think it’s a perfect time to start the conversation (or pick it up, if it’s been started) about asking our businesses to consider alternative means of carry-out storage (paper-based, recyclable plastics, compostables). The Pointes have shown that they care enough to embrace change in order to better our communities. And who knows where the conversation might lead… reusable bags in every purse and car trunk, the preference of water bottles to bottled water, recycling receptacles next to trash bins in shopping districts and parks, home-composting (which could eventually lead to a city-run composting program). We’ve come so far, but can go further. The possibilities are endless. Go Green! This entry was posted in Grosse Pointe, Musings and tagged Environment, Grosse Pointe, Letter to the Editor, Small Town Living, Styrofoam. Bookmark the permalink. Yikes. I’m sure that smelled really good, too. You go girl! I think lots of things but never take the time to actually write a letter. Thanks on behalf of the lazy ones. The Pointes will be better for having you. No doubt. Wish you were here. It would be that much better. I need a going-out buddy. WAH. Miss you.